This year, set a resolution you can actually stick to. 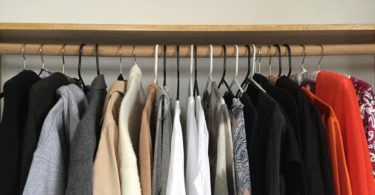 Learn how to declutter and organize your home, one month at a time. This is your year. You’re going to start fresh and figure out how to declutter and organize your home (and keep it organized) once and for all. You should be able to get that figured out in a month or so, right? Not necessarily. Once the calendar flips, you’ll find yourself rudely reminded of your responsibilities at work, the tangle of schedules for the kids and a longing for new personal adventures (like finally committing to that morning yoga class). Suddenly, your infallible home organization system seems hopelessly flawed. Don’t get stressed out! Here’s a plan you can actually stick to. We created a month-by-month checklist culled from the smartest home organization experts we could find to help you get your act together at the leisurely pace of a full calendar year. 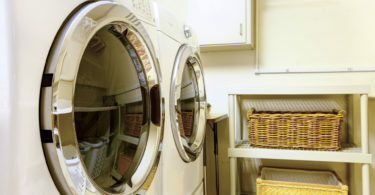 Month One: Tackle your laundry room. Add a drying bar: Rather than hanging your wet delicates from random spots in your house (we’ve all been guilty of using the shower, doors and chairs), install a drying bar right in the room. Mount a shower rod, bath towel holder or extension rod underneath a shelf, giving you a great spot for a row of hangers. Organize your clothes: Laundry bins full of dirty clothes can easily crowd your floor. Use a hamper, baskets or bins to pre-sort dirty clothes (one for whites, lights and darks). When it’s full, you’ll know to do the wash.
Month Two: Give your mudroom a makeover. 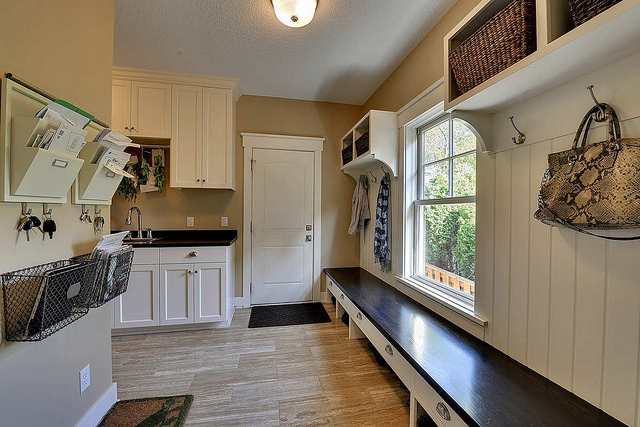 Your mudroom is the entry to your home, which means it could be the first thing people see when they come over. Whether you have a spacious room or a cramped doorway, chances are this space could use a little love. Include seating: A small bench is a smart addition to any entryway, since it offers a place for people to safely put on or take off their shoes. And added bonus? You can use the space underneath to store shoes. Install hooks: Hooks work great for entryways that lack a closet space. Even a short rack can hold your guest’s coats, purses and other accessories. Allocate space: Purchase a basket for each family member, and allow them to use it for their shoes, gloves and scarves or small sports items. Month Three: Simplify your bedroom. “In order to get the most restful sleep, the bedroom should be a serene, uncluttered environment,” Kirsten Fisher from Imagine Home Organization says. Be consistent: Give your room a unified look by purchasing a complete bedding set that includes a bedframe, skirt and shams. Commit to taking three minutes each morning to make your bed. Maximize storage: Use bedside tables with drawers and add behind-the-door shelves. If you find you need extra storage, place a trunk or long ottoman at the end of the bed. 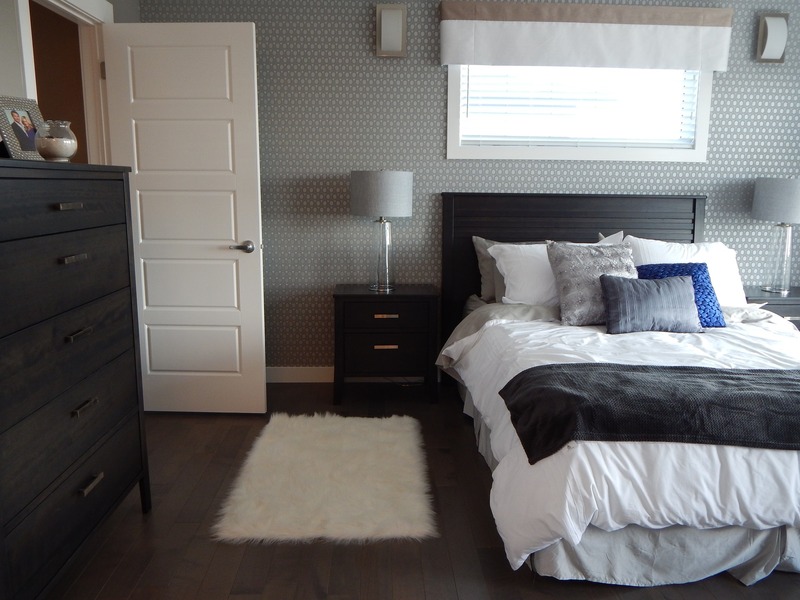 Keep surfaces clear: Avoid messy floors and table tops by establishing a “home” for every item in your bedroom. Nothing should be left lying around! Stay clean: Place your clothes hamper in an easily accessible location, this way dirty items can go directly from your body to the laundry without stopping on the floor or bed. Month Four: Rearrange your kitchen pantry. Along with the laundry room, the kitchen probably gets the most work out of any room in your house— — which is why organizing it can be so hard. While you probably clean out your fridge and scrub your counters regularly, you may be guilty of avoiding your pantry. To declutter and organize your pantry, start by removing everything and giving it a good scrubbing. Then, take a look at everything you have stored inside, and dispose of anything that is expired or will never be used (did you need that much cream of mushroom soup?). Limit your pantry to the necessities. Donate anything you won’t use to a food bank, and move doubles to other cabinets or even the basement. For the remaining items, Abby from Just a Girl and Her Blog recommends swapping out bulky packaging for containers or bins that can sit on top of one another. She also suggests using cabinet risers to hold things like spices and soups, which give height to items in the back and make them easier to locate. 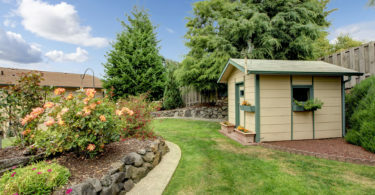 Month Five: Declutter and organize your shed. Remove everything from your shed. Eliminate items you no longer use or aren’t in the best condition. 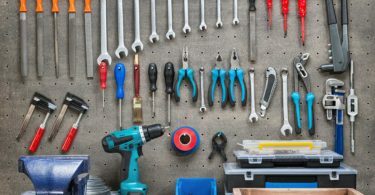 Organize everything into categories, such as sports gear, gardening equipment, tools and decorations. Month Six: Condense your entertainment. Although the world seems to be becoming increasingly digital, many of us still hold on to our beloved hard copies of DVDs, Blu-Ray Discs and even VHS tapes (nostalgia, right?). 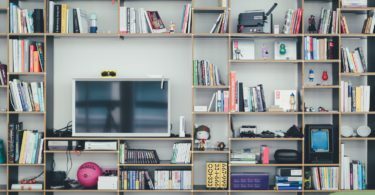 Instead of letting those bulky plastic cases take over your living room, invest in a multimedia shelving system. Before deciding on the size of your unit, take a look at your inventory and omit anything you don’t need. When is the last time your teenage children watched those cartoons? Figure out what your family still uses, and donate or store the rest. Once you’ve established your new library, create a system that determines how you organize your media on your shelves. You can get as specific as you want (by album title, artist name or genre). If you’re wondering how to organize your home and are really short on space (and don’t mind ditching the cases), opt for a simplified setup. Month Seven: Revitalize your bathroom cabinet. Although it’s commonly referred to as a medicine cabinet, you’re better off using this space for your beauty products. Use jars: Clear jars make it easy to quickly find whatever you are searching for. Use them to hold your cotton balls, Q-tips, band-aids and small lotions or ointments. Add trays: Thin desk trays double as the perfect organizer for small items, like nail polish, tweezers and other tools. Place by popularity: To avoid adding time to your already hectic morning, organize your supplies based on how often you use them. Place most-used product at eye level, and less popular ones on higher shelves. Month Eight: Focus on your furry friends. You may not be able to train your four-legged friends how to declutter and organize your home, but you change a few things to make it easier to keep them safe and organized. It’s also a smart idea to buy an inexpensive rubber mat to put under your pet’s food and water bowls. This will keep it from sliding around, protecting the floor from scratches and spills. Just like you, your pets have a unique list of special needs. Type up relevant care instructions, like medicines, allergies, contact information and directions to the nearest animal hospital, to put with your family’s records. This way, whoever is in charge of your companion will know what to do if anything was to happen. Month Nine: Purge your playroom. Kids are constantly getting new toys and games. Before jumping right into your organization project, take the time to donate your child’s unused toys. Organize toys based on similarity, and store them in clear bins for easy visibility. Abby recommends labeling everything — this will help you or your child find things quickly. Use wall storage and stackable bins to keep your floors clear of clutter. Following this system will help encourage them to be active themselves in decluttering, regardless of their age. Month 10: Establish a recycling system. Americans generate about 254 million tons of trash. That’s a lot of garbage! As you figure out how to organize your home, minimize your family’s ecological footprint by creating a recycling center right in your own home. The best way to stay consistent with your recycling is by sticking to one place. Determine an area in your home that can hold the extra storage (the garage, laundry room and kitchen are popular areas), and clear it of any existing clutter. Then, purchase matching containers. Every area recycles differently, but it’s safe to say you’ll need at least three options: one for metal, one for plastic and one for paper. Depending on space, you can hang bags from your wall, stack bins on top of each other or place cans next to one another. Month 11: Declutter and organize your home office. To organize your physical papers, create a color-coded filing system. Each category (medical, financial, insurance, warranties, etc.) should have a unique color or pattern. This will allow you to keep everything in place and easily found in the case of an emergency. When it comes to the rest of your office goodies — focus on simplicity. Invest in a few boxes and drawers to hold supplies, and be sure to label everything so you know what is inside. Play with fun colors, photos of your loved ones or your favorite quotes. This is a place of creativity — you’ll want to surround yourself with a little inspiration! Month 12: Manage your makeup. Ditch: Even though your makeup hasn’t run out yet, it may still be time to ditch it. All makeup has a shelf life, and ignoring it can make your face a breeding ground for bacteria. Dispose of anything that is past its time (do you really need three black mascaras, anyway?). Designate: Place each item in a designated space, and commit to keeping it there. Depending on the setup of your vanity, use drawer dividers, acrylic drawers, plastic containers or over-the-door organizers to hold your products. And don’t forget about those brushes! Just wet your brush, swirl it in baby shampoo, rinse and lay to dry overnight. You wanted to figure out how to declutter and organize your home, and you succeeded — that’s great! 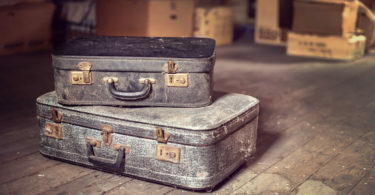 But now you’re left with a ton extra things you’re not ready to get rid of that don’t necessarily have a place in your home. Our solution? Self-storage. Life Storage offers a variety of storage options to protect even your most delicate belongings. Visit our website to find a storage unit near you. You can even learn more about how you can receive a free rental truck. How do you tackle clutter year-round? We’d love to hear your tips and tricks. Let us know in the comment section below! This post originally appeared on the Life Storage blog on 1/5/16 and was revised on 12/31/18 to provide new information.